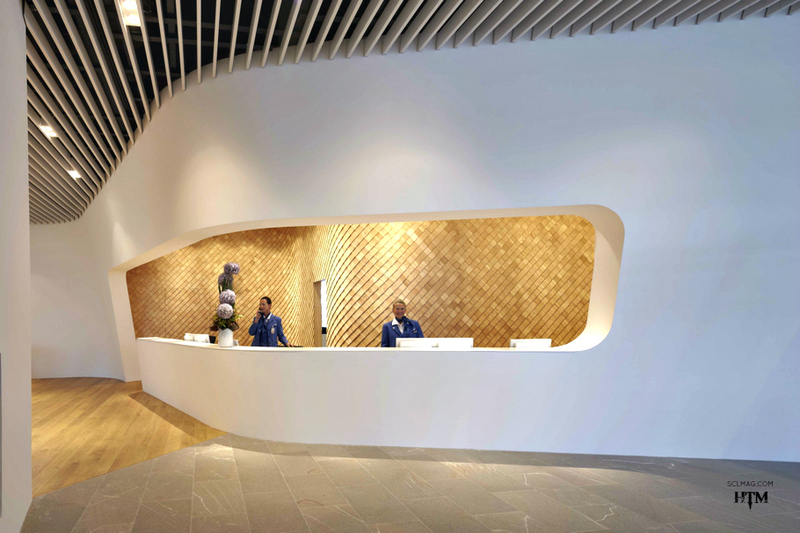 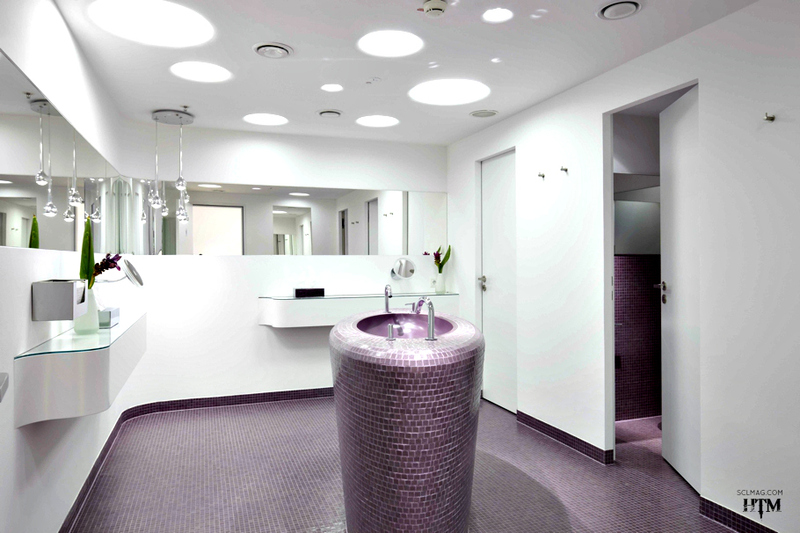 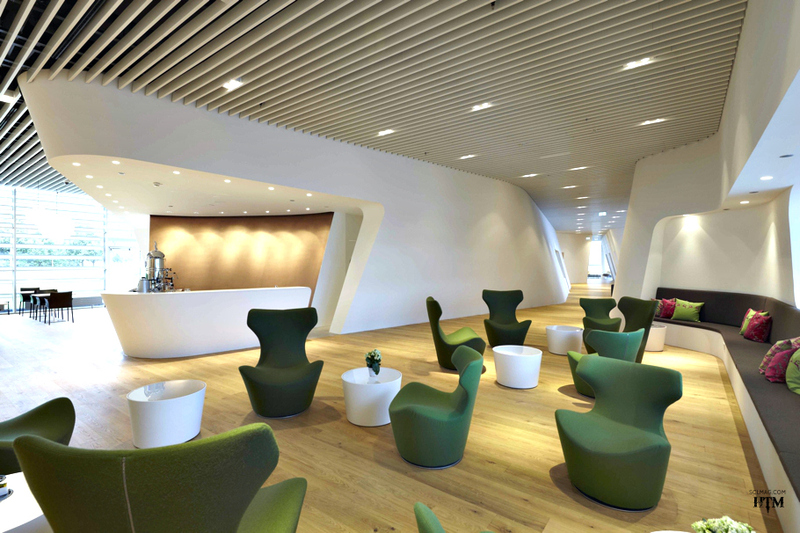 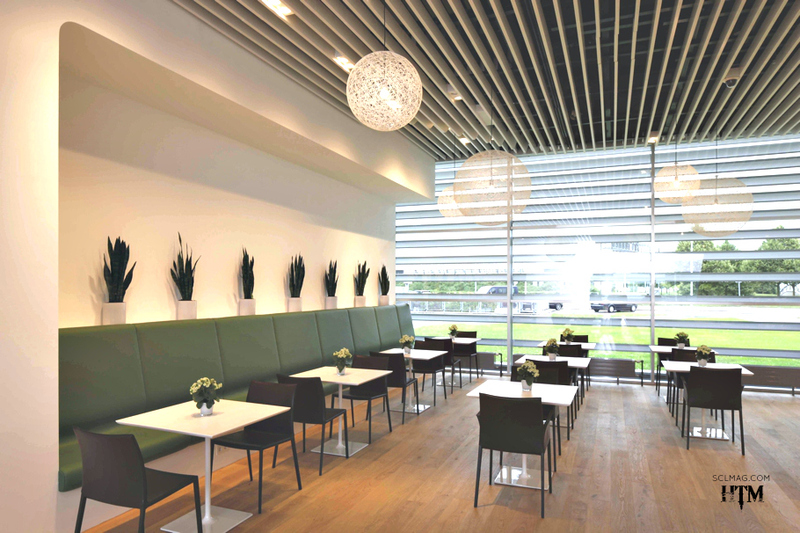 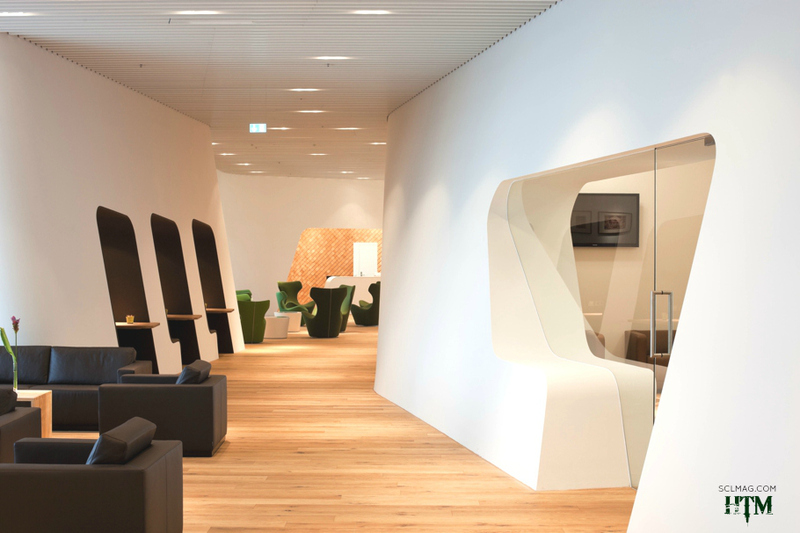 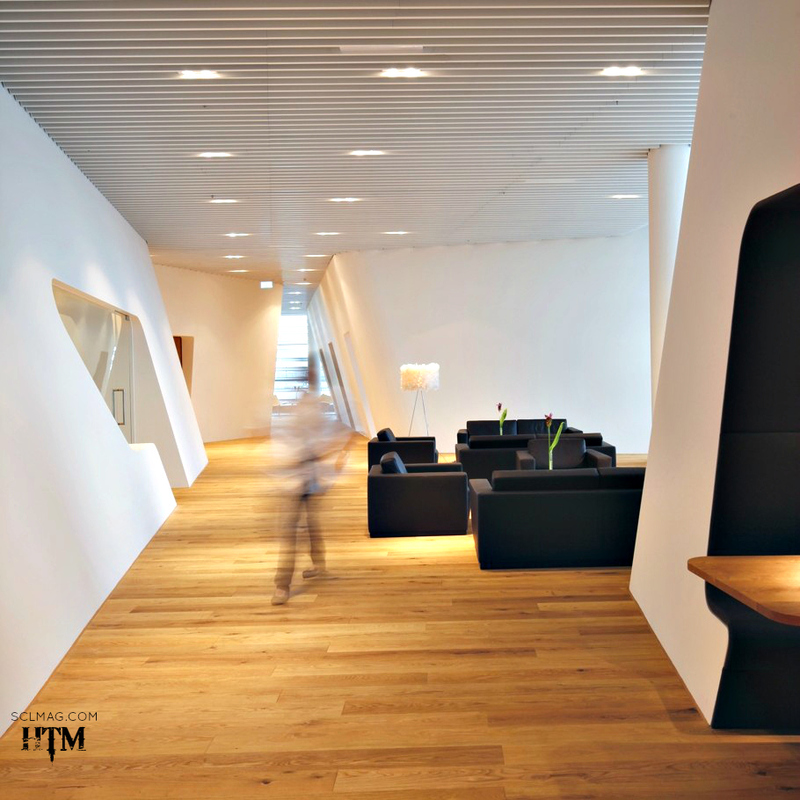 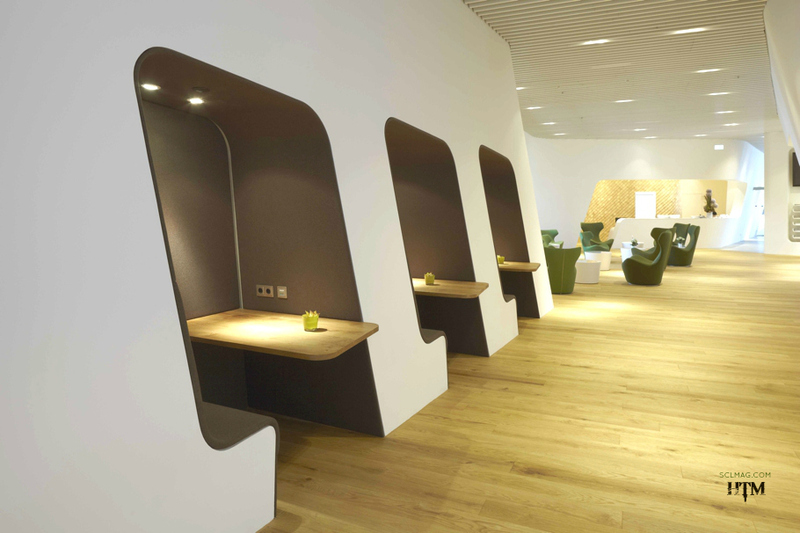 Erich Gassmann Architects have created a wonderful experience in Munich’s Airport. 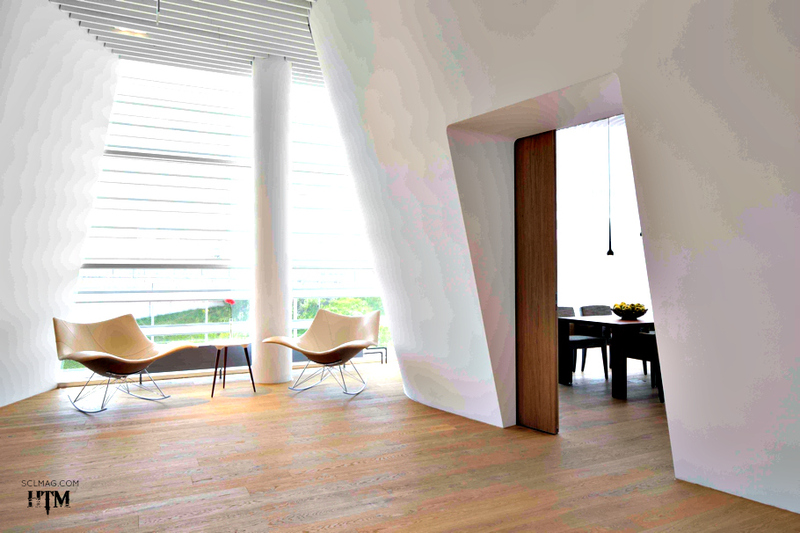 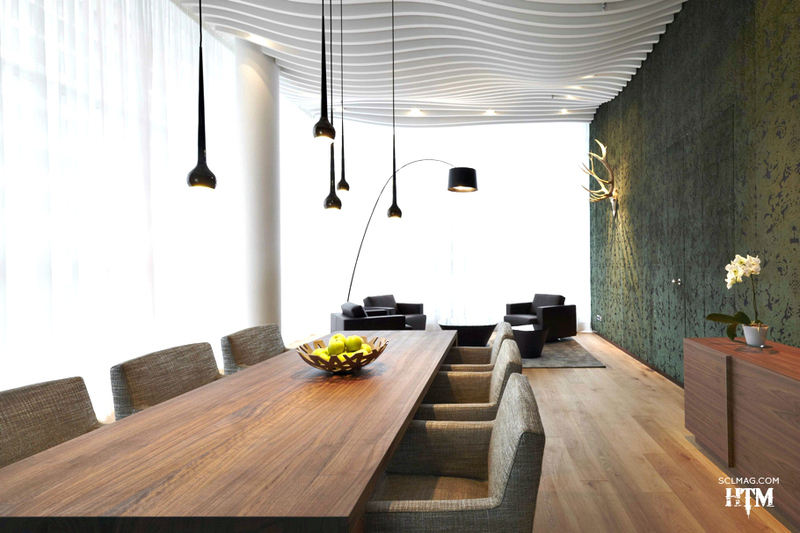 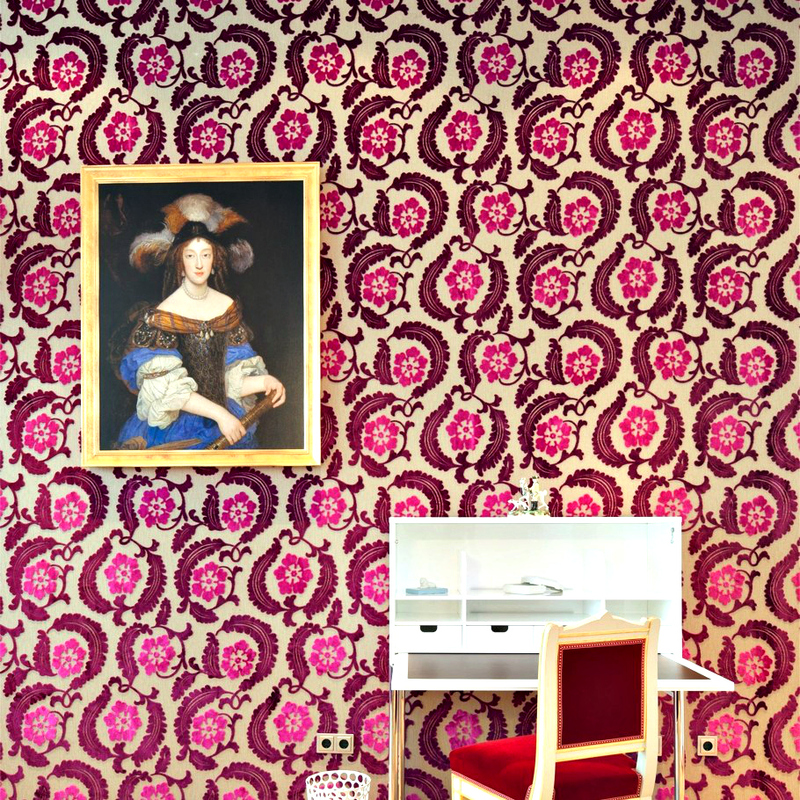 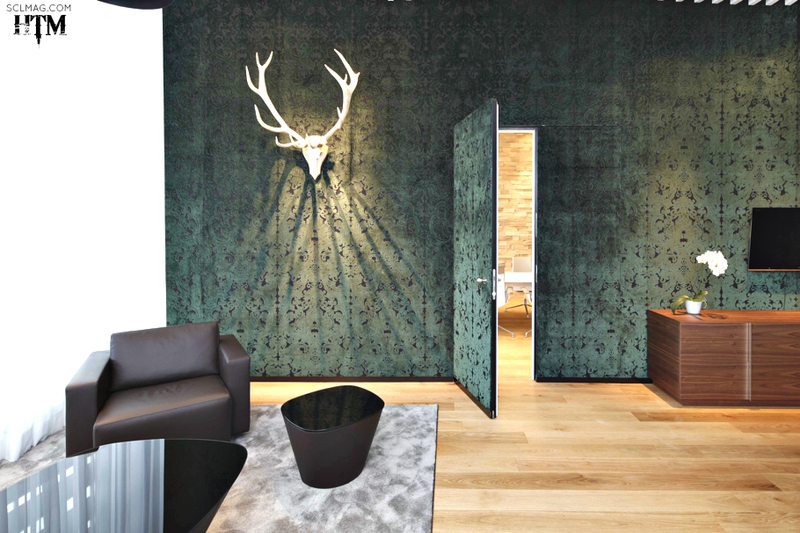 The space has a Bavarian chic to it using native Bavarian materials such as felt and loden. 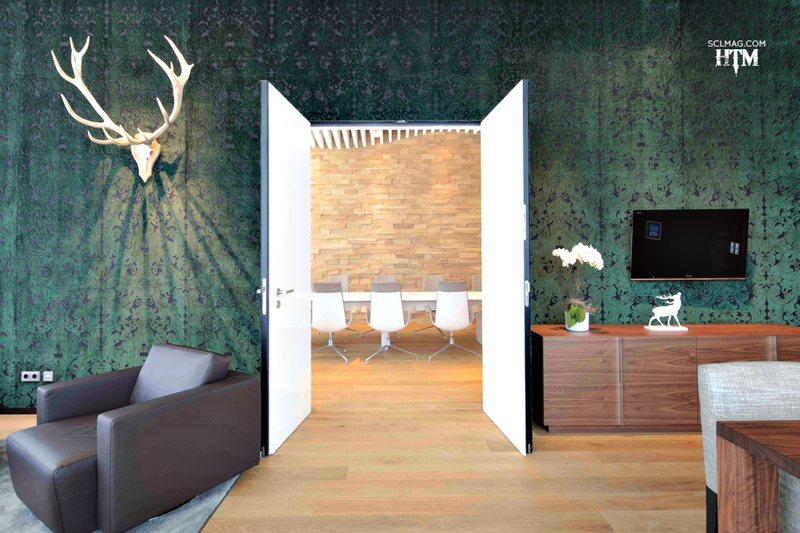 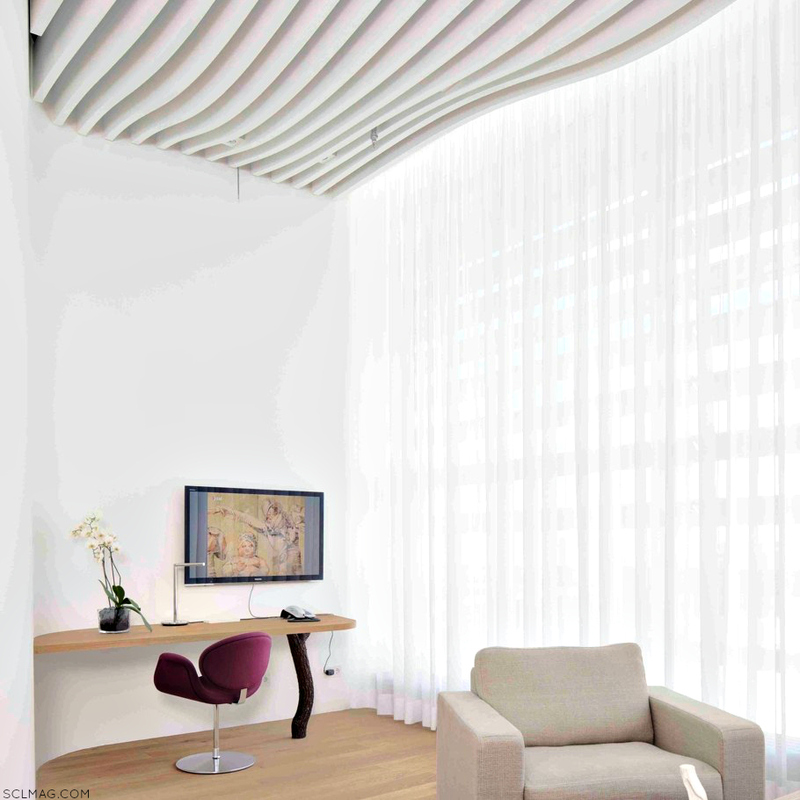 A wall of untreated larchen sheets welcomes travelers to the reception area, gastronomy is present in the lounge as well with space for meetings.